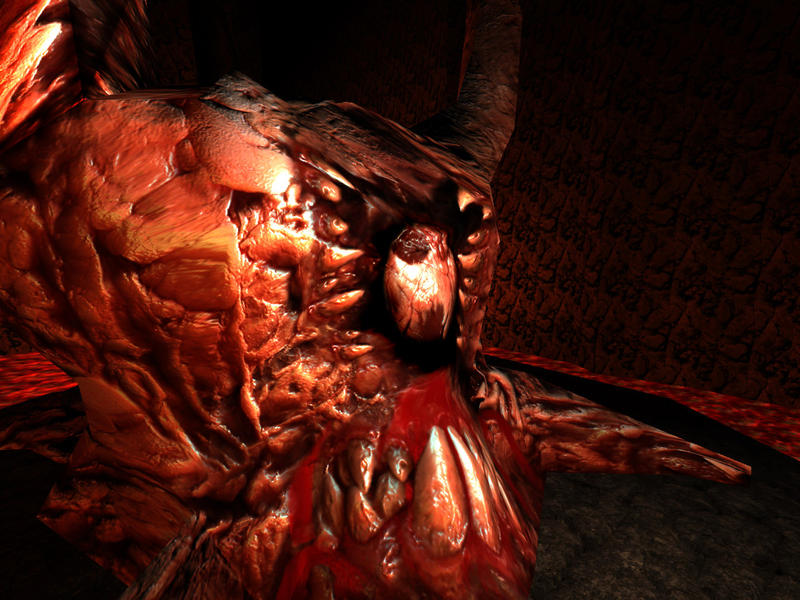 The mighty Shub-Niggurath turns out to be an enormous wad of lard with tentacles. She can't even attack, but watch out -- she has a lot of Vores and Shamblers guarding her, and more will spawn in occasionally. To kill her, you need to telefrag her. See the spikey ball that floats around the level? 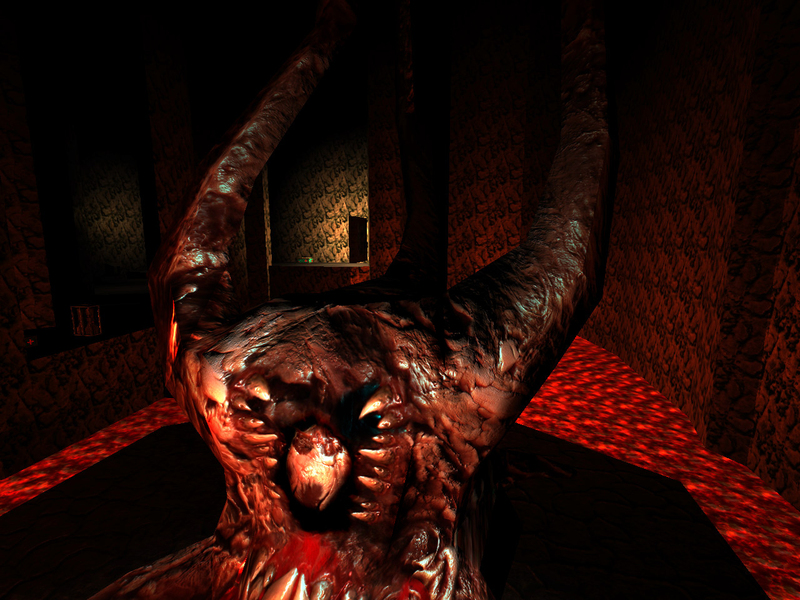 See the teleporter at the end of the monster- and trap-infested hallway? When you step in the teleporter, you will warp to the location of the spikey ball. 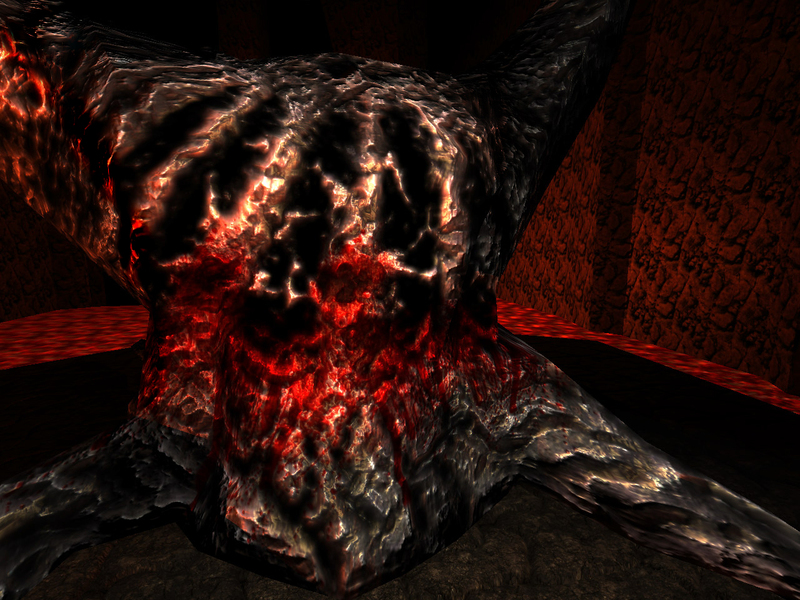 Do it when the spikey ball enters Shub-Niggurath, and you'll blow her to pieces. If you do it some other time, you'll most likely fall into the lava. 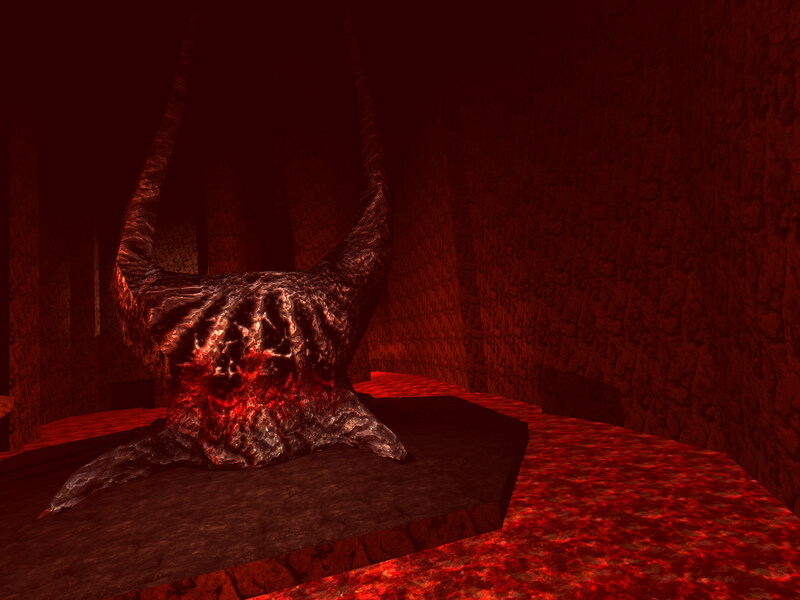 Shub-Niggurath is the absolute ruler of the demons and monsters in Quake's reality and the final boss of Quake. 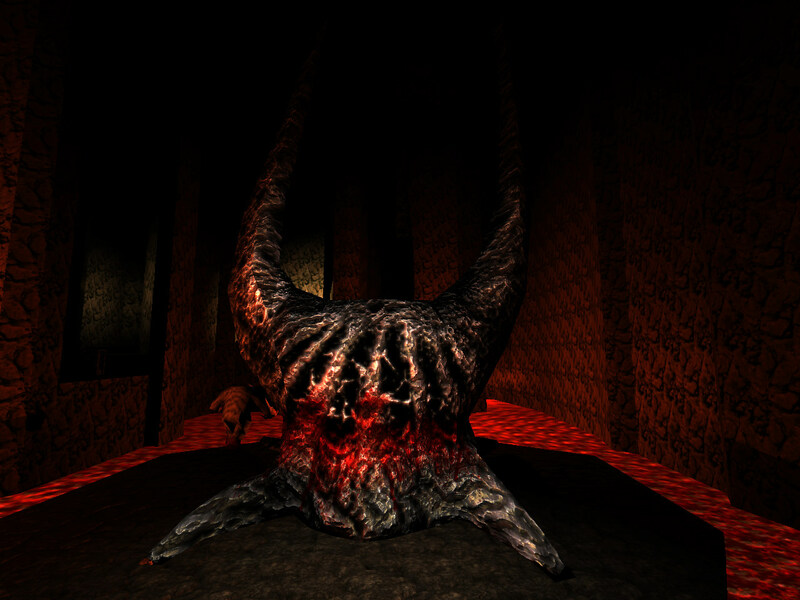 Shub-Niggurath is the mother of the monsters that roam the dimensions of Quake. She has spawned an army to invade Earth using the humans own portal technology to enter their realm and kill every man, women and child so that the demons of Shub-Niggurath can call Earth their own. 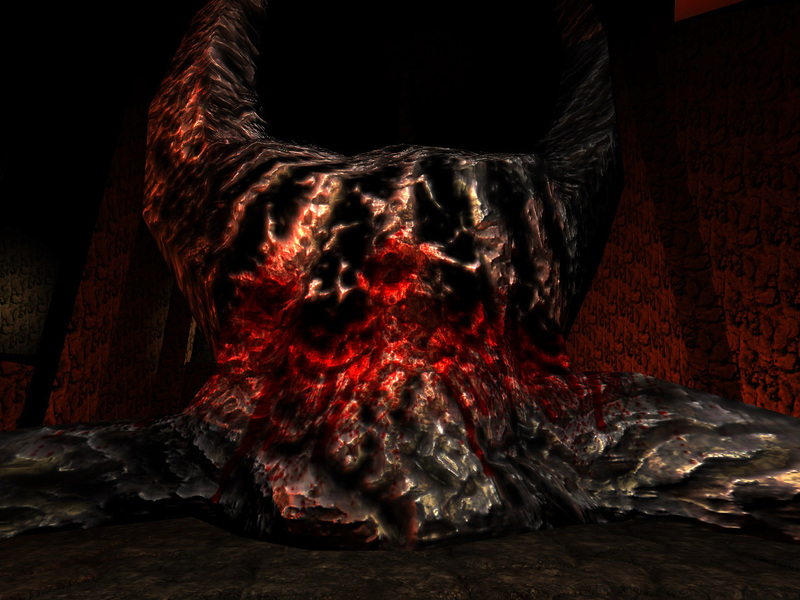 She'd planned on using the four runes to cause such destruction but the runes were instead sought by the player, and were used to gain access to Shub-Nigguraths lair. 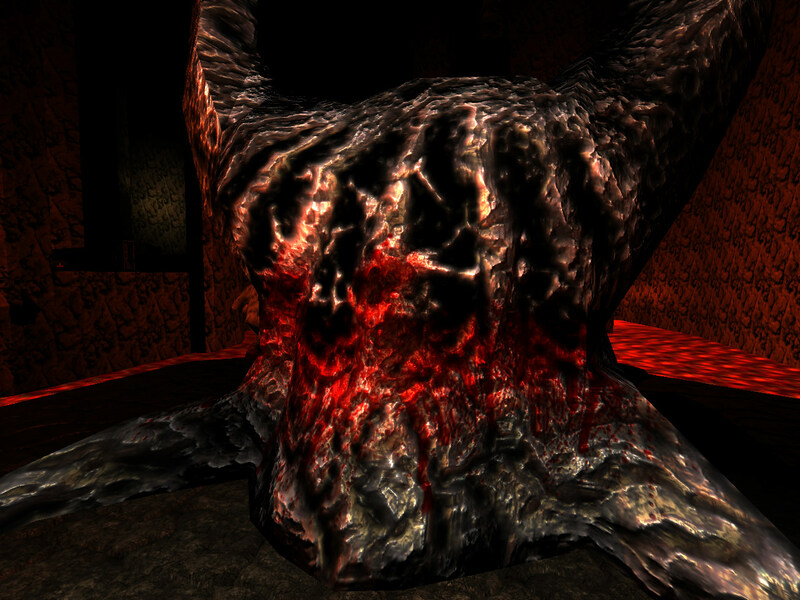 Despite not having any offencive attacks on of her own, Shub-Niggurath can spawn Shamblers and Vores into her chamber to kill the player. 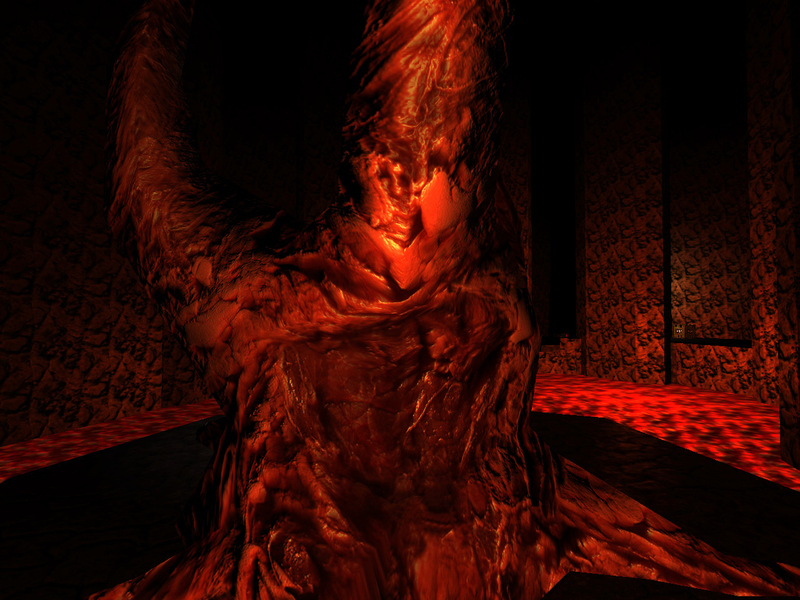 Despite her best efforts, Shub-Niggurath is killed by the player via telefrag. 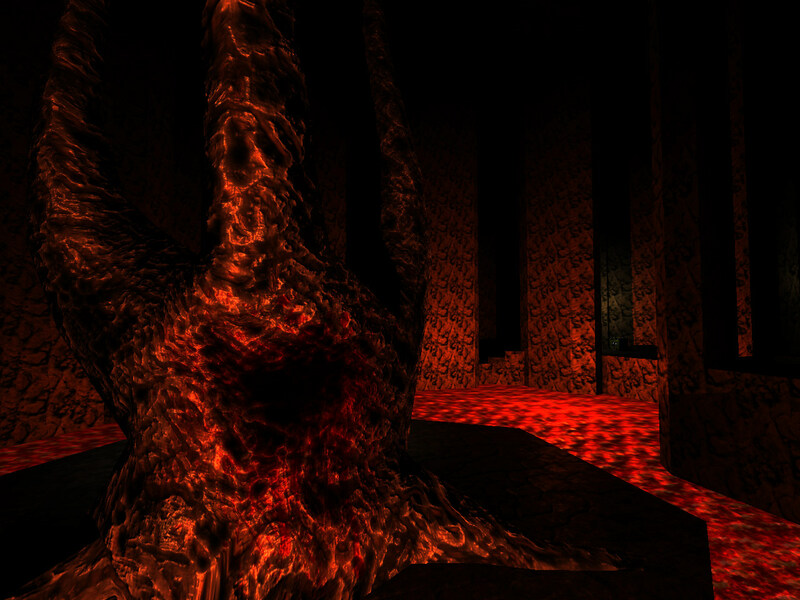 Shub-Niggurath is killed by the player after he collects the four runes and opens the gateway into Shub-Niggurath's Pit. 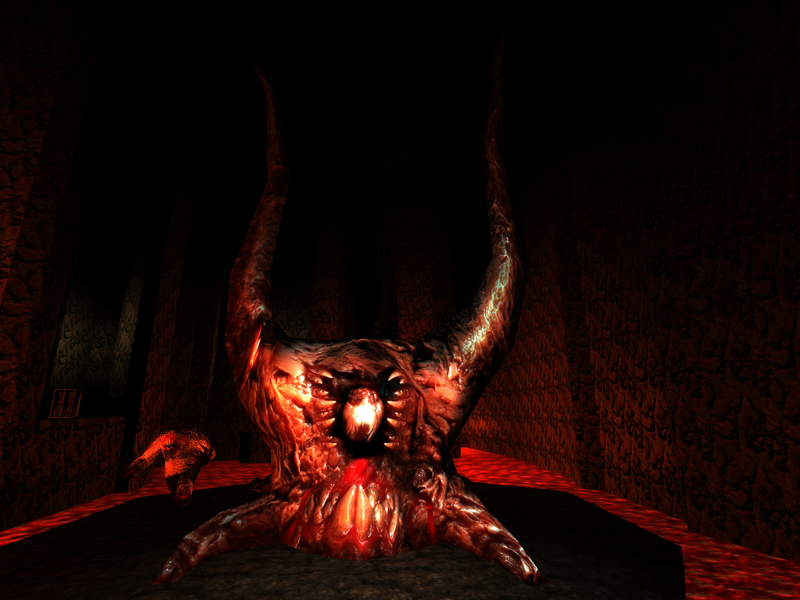 Shub-Niggurath brought a load Vores and Shamblers to defend her from the intruder but not even this powerful force was enough to stop the player from crossing the pit and killing Shub-Niggurath. She physically resembles a massive demonic tree. After her death, Armagon was appointed to take charge. 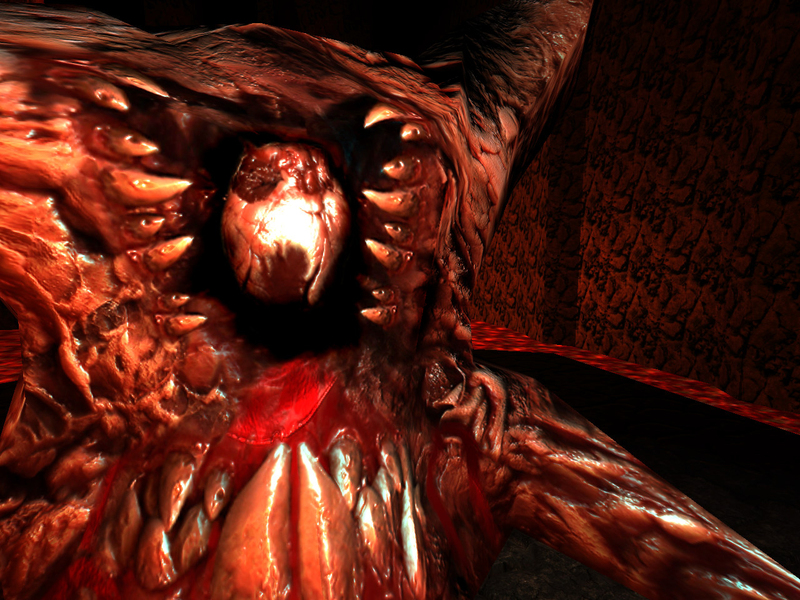 Shub-Niggurath and killer her in a multiplayer term known as telefrag. 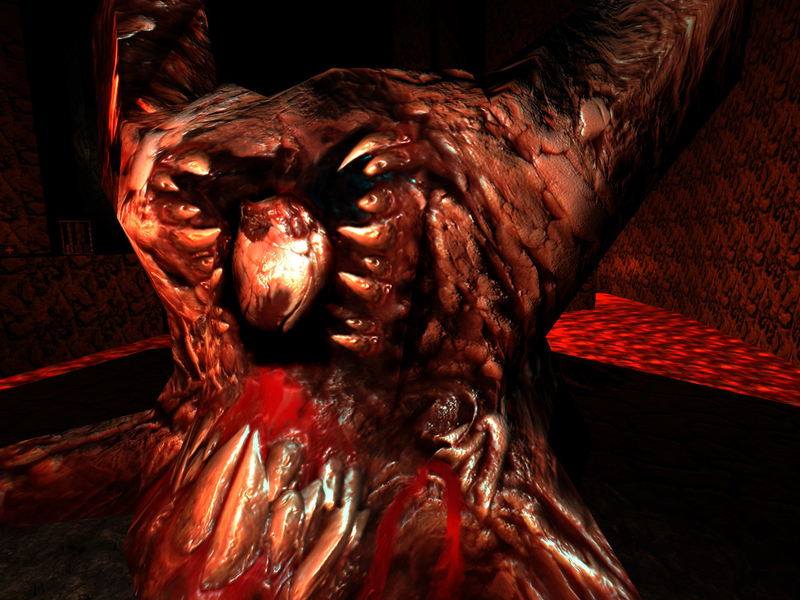 Information: Tentacled thing. Appears like the most boring date ever but inside she's digesting your predecessor.